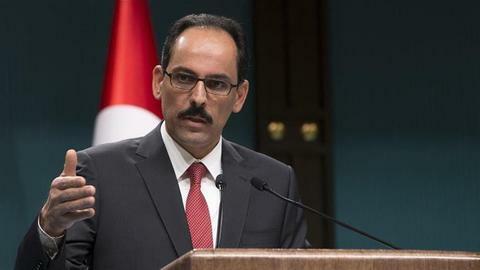 Turkey's presidential spokesman Ibrahim Kalin says Ankara will continue efforts to provide stability in neighbouring Syria. 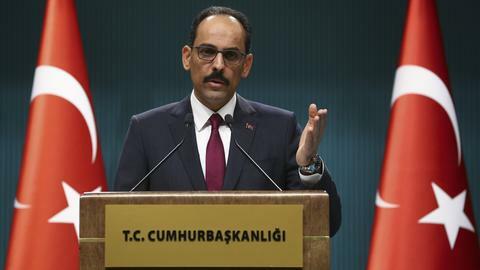 The Assad regime in neighbouring Syria is illegitimate and far from promising any future for the country, Turkey's presidential spokesman said on Monday. Following a cabinet meeting in the presidential complex in Ankara, Ibrahim Kalin said, "Turkish intelligence departments may sometimes have contacts with various regime elements in Al Hasakah and Qamishli, including Damascus [regime capital], in the framework of Turkey's security and the overall safety of Turkish operations in Syria." 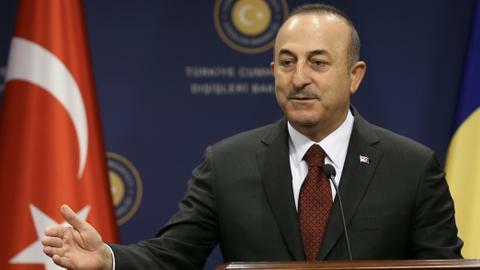 But, he added, "This does not mean that Turkey recognises the legitimacy of the [Syrian] regime." Kalin said Turkey will not allow any terror threats from east of the Euphrates River in Syria and also stressed the importance of the roadmap for stability in Manbij, in northern Syria. Turkey has promised a counterterrorist operation in Syria, east of the Euphrates, following two similar successful operations since 2016. 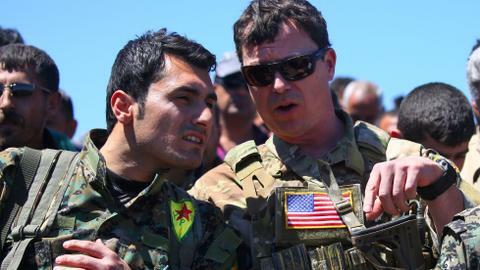 The Manbij deal between Turkey and the US focuses on the withdrawal of YPG/PKK terrorists from the city to stabilise the region, which is in the northeast of northern Syria's Aleppo province. 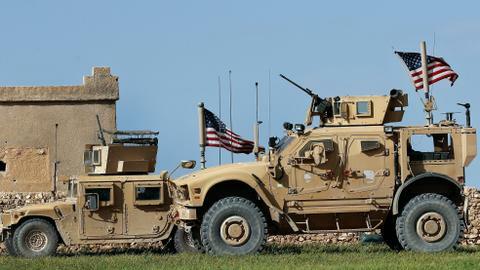 "Immediate implementation of the Manbij roadmap without any delay is significant for US-Turkey ties, regional safety, and the process in Syria," Kalin said, adding that Turkey and Russia also agreed on the roadmap as agreed with the US. Mentioning the Astana and Geneva peace talks on Syria, Kalin vowed to continue efforts to provide safety and stability in Syria with respect for the country's territorial integrity. Mentioning a Turkish Defence ministry delegation's visit to Moscow last month to talk about recent developments in Syria, Kalin said talks on a "safe zone, Idlib, and other issues will continue with Russia in the coming days." Kalin said Foreign Minister Mevlut Cavusoglu will also pay a visit to the US on Tuesday to attend a Turkey-Syria coordination meeting, adding that the safe zone issue will be brought up during the talks. Kalin stressed that Turkey's main goal is to ensure steps to provide for Turkey's safety, and continued, "Control [of the safety zone] should be maintained by Turkey, not another force. Kalin said Turkey should have control of the area east of the Euphrates River – where a Turkish counter-terror operation is planned – to be able to implement a similar model. "No matter what name they have, SDF or PYD/YPG, Turkey will never allow [a model] to be a shield or camouflage for the terror groups," Kalin said. In its more than 30-year terror campaign against Turkey, the PKK – listed as a terrorist organization by Turkey, the US and the EU – has been responsible for the deaths of nearly 40,000 people, including women and children. The PYD/YPG is the group's Syrian branch, and it also uses the name SDF. 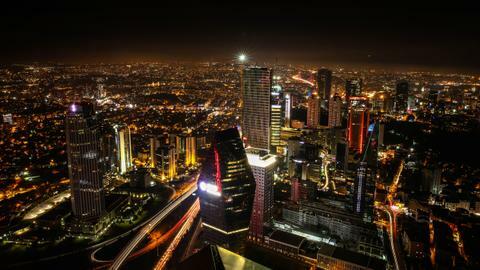 Turkey and Russia, together with Iran, are the guarantor countries which brokered a ceasefire in Syria in December 2016, leading to the Astana talks, which are running parallel to the Geneva talks. Kalin also denied reports that Turkey and the US have agreed on a "safe zone" in Syria, saying that talks are still ongoing. Kalin said during the cabinet meeting Cavusoglu and Defence Minister Hulusi Akar underlined some important issues about the situation in the Mediterranean. 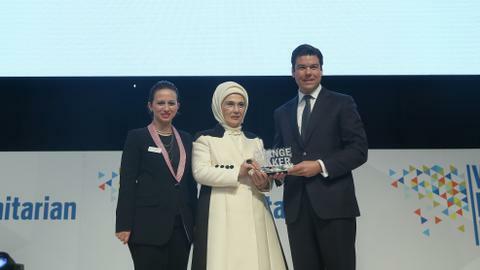 "Turkey will continue its decisive stance to defend fundamental rights arising from its sovereign rights in the Aegean and Mediterranean and Black Sea," Kalin said. 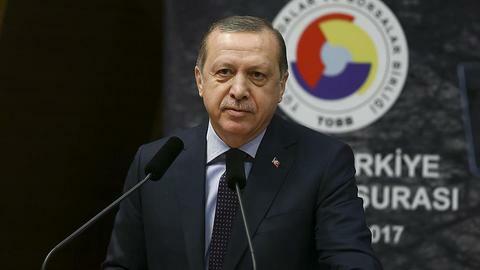 "Turkey will not tolerate any fait accompli in the eastern Mediterranean, no matter from whom." He also expressed concerns about the US and Russian withdrawal from the Intermediate-Range Nuclear treaty.